Package shows as delivered but I can't find it! 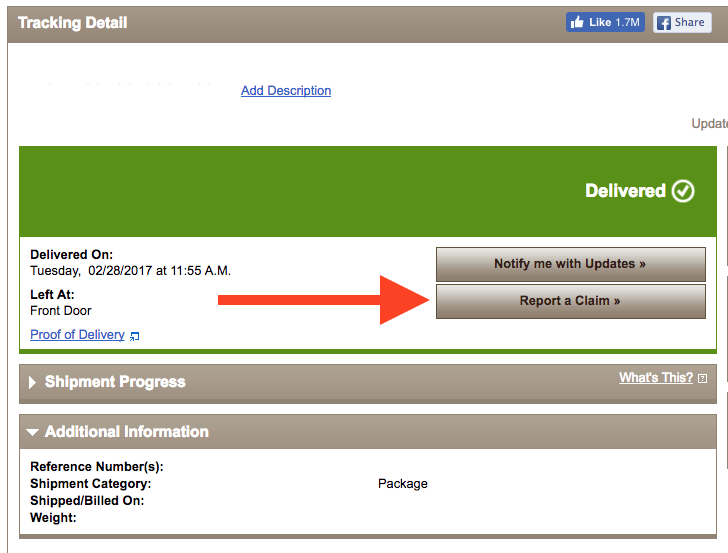 My tracking information says my package was delivered, but it wasn't there, what do I do? If you cannot locate your delivered package make sure to check with nearby neighbors/tenants. If you still can't find it, contact UPS to file a claim on the package. To file a claim, look up your tracking information and click "Report a Claim"
Once the claim has been filed, please reach out to assistant@threadbeast.com letting us know and we'll keep you updated on the progress of your claim. Claims can take up to 8 business days to complete.